If you love Yankee Candle scents (or if you’re looking for a fun gift!) 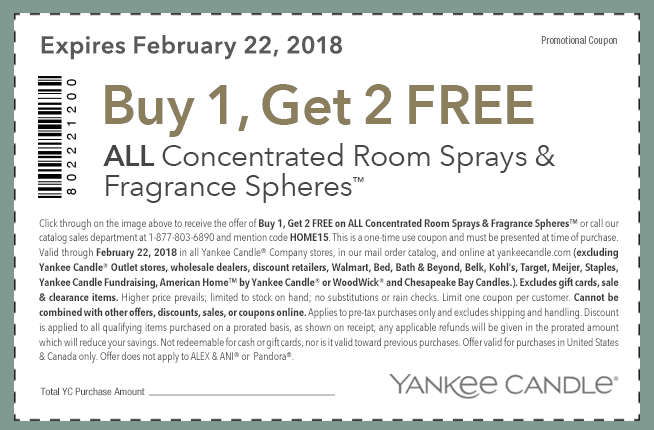 save and print the above Yankee Candle Buy One Get Two Free Room Sprays coupon, valid through October 11th! This is a great deal ~ just $2.66 each. What’s your favorite scent?